absolutely amazing and in-depth interviews. Erik Prince, the founder and CEO of the world’s most notorious mercenary company, Blackwater, landed in hot water during an interview with Mehdi Hasan at the Oxford Union in the U.K. Prince repeatedly claimed to have disclosed an August 2016 meeting at Trump Tower to the House Intelligence Committee—a claim not backed up by the official transcripts of his testimony before congress. On this week’s show, Mehdi Hasan speaks with Jeremy Scahill, author of <em>Blackwater: The Rise of the World's Most Powerful Mercenary Army</em>, and to Congressman Joaquin Castro, who sits on the House Intelligence Committee, about the possible fallout from Prince’s contradictory statements. Introducing Murderville, a new investigative podcast from The Intercept.&nbsp; Episode 1: Murder at Taco Bell. A murder in the small southern town of Adel, Georgia, sent Devonia Inman to jail 20 years ago.&nbsp; He was accused of robbing and shooting a woman named Donna Brown in a Taco Bell parking lot.&nbsp; He swore he was innocent and there were good reasons to believe him. And while he awaited trial, three more brutal killings took place in Adel. Did police get the wrong man?<br><br>The full seven-episode Murderville series is available now on Stitcher Premium, or free on all platforms starting December 20. To subscribe, go to <a href="http://theintercept.com/murderville">theintercept.com/murderville</a>. The United States and Saudi Arabia have been best friends since 1945, even after 9/11, when 15 of the 19 hijackers who brought down the Twin Towers turned out to be Saudi nationals. Their alliance still holds strong, despite the sudden disappearance and likely murder of Washington Post journalist and U.S. resident Jamal Khashoggi in the Saudi consulate in Turkey. Much of this has to do with Donald Trump’s financial interest in Saudi Arabia, as well as the fact that he and Israeli prime minister Benjamin Netanyahu are obsessed with Iran and are bent on going after Iran, and the Kingdom of Saudi Arabia is their key ally in that aggressive endeavor. In this week’s episode, Mehdi Hasan is joined by The Intercept’s DC bureau chief, Ryan Grim, and the founder of the National Iranian American Council, Trita Parsi, to deconstruct the evil Justice League of Donald Trump, Benjamin Netanyahu, and Mohammed bin Salman. Live Special: Are the Democrats Ready to Get Radical? The Right Won the Battle Over Kavanaugh. Can the Left Win the War? Riz Ahmed became the first actor of South Asian descent and the first Muslim to win an Emmy last year when he picked up the award for <em>Outstanding Lead Actor in A Limited Series</em> for his starring role in the HBO drama, <em>The Night Of</em>. In the brand-new Marvel movie <em>Venom</em>, he plays the villainous Carlton Drake opposite Tom Hardy’s titular anti-hero. Off the big screen, he uses his unique platform to bring attention to issues from the lack of minority representation on T.V. to Islamophobia and racism. He’s also an old classmate of Mehdi Hasan’s, and this week on <em>Deconstructed</em> the two discuss their complex identities and the difficulty of being the only muslim in the room. Supreme Court nominee Brett Kavanaugh has been accused of sexual assault by three different women, one of whom said that she witnessed his efforts to inebriate girls so they could be “gang raped.” His first accuser, Christine Ford, recalls thinking that he may “inadvertently” kill her while trying to attack her and remove her clothing. Deborah Ramirez, his second accuser, says she had felt “mortified.” <em>The Intercept</em> reporters Ryan Grim and Naomi Klein join Mehdi Hasan to discuss the implications of Kavanaugh’s nomination and what this mess says about America. Why is America Helping to Kill Kids in Yemen? Since a Saudi-led coalition began bombarding Yemen in March 2015, more than 10,000 people have been killed and over 2 million displaced. While most U.S. politicians would prefer to pretend otherwise, all of this is happening with the cooperation and direct support of the United States. Democratic Senator Chris Murphy is one of the few lawmakers who has taken a loud and consistent stand against the war. He joins Mehdi Hasan to discuss the ongoing conflict — and whether it can be ended. On Tuesday the Supreme Court handed the president a huge victory in <em>Trump v. Hawaii</em>, the case challenging the legality of his executive order barring citizens of five Muslim-majority countries from entering the United States. The verdict upholding the ban generated a wave of condemnation across the country. On this special episode of Deconstructed, Mehdi Hasan speaks with Keith Ellison, the first Muslim-American ever elected to Congress, as well as Yemeni-American community organizer and anti-ban activist Debbie Almontaser. Five years ago this week Edward Snowden absconded to Hong Kong with a trove of documents detailing the extent of the U.S. government's global and domestic surveillance programs. Snowden’s leaks helped expose the astonishing reach of the U.S. government's global and, crucially, <em>domestic</em> surveillance programs. More recently we’ve discovered it isn’t just big government that poses a massive threat to our privacy, but also big tech. 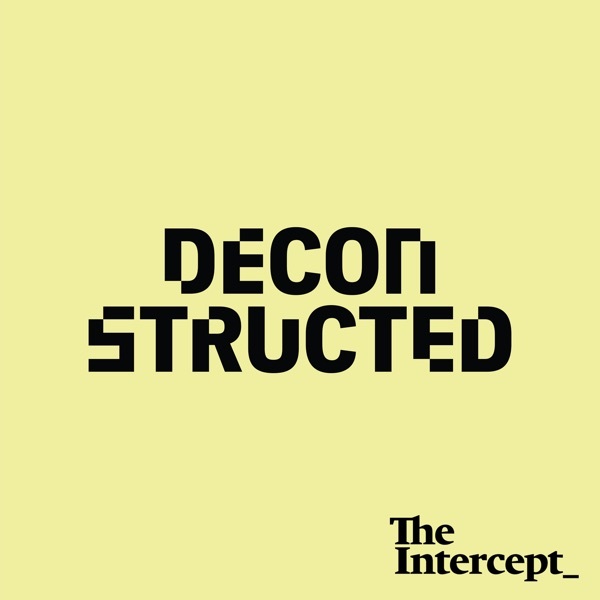 On this week’s episode of Deconstructed, Edward Snowden joins Mehdi Hasan from Russia to discuss surveillance, tools that can help protect people’s privacy, and the likelihood of a Trump-Putin deal to extradite him. Two Palestinians join Mehdi Hasan to discuss U.S. coverage of Jerusalem and how to get prominent Democratic politicians to take the Palestinian struggle for freedom seriously. Rula Jebreal was raised in East Jerusalem and is an academic and foreign policy analyst. Linda Sarsour, whose parents immigrated to the U.S. from the Occupied West Bank, is the co-chair of the Women’s March and the former director of the Arab American Association of New York. Is Trump Trying to Start a War with Iran? The president announced withdrawal from the Iran nuclear deal on Tuesday, citing Israeli intel purporting to show that Iran has resumed its nuclear weapons program. Does this move us one step closer to war? Has John Bolton taken the helm of U.S. foreign policy? On this week’s <em>Deconstructed</em> podcast, Tommy Vietor, who served as spokesperson for the U.S. National Security Council under President Obama, breaks down Trump’s latest and scariest political gambit. Is Trump About To Start An Illegal War With Syria? The war in Syria has seen seven long years of bloodshed, terror, and foreign interventions. And now, once again, the alleged use of chemical weapons has prompted president Donald Trump to threaten bombing the Assad regime. But on what authority, and with what plan? This week on Deconstructed, Mehdi Hasan speaks to Rep. Barbara Lee, one of the most consistent voices against U.S. military interventions on Capitol Hill. And with former Obama adviser Ilan Goldenberg about whether Trump is following in Obama’s footsteps by going to war without congressional approval. In her first national interview, Stephon Clark’s fiancée Salena Manni speaks out on his death at the hands of Sacramento police. She calls on President Donald Trump to take action on police violence, and responds to White House Press Secretary Sarah Huckabee Sanders, who last week called Clark’s death a "local matter." And Professor Ibram X. Kendi of American University joins Mehdi to discuss how America’s history of racist ideas creates the law enforcement environment we see today. Will John Bolton Get Us All Killed? By now you’ve heard about John Bolton’s bluster, warmongering, and disregard for international law. What you probably don’t know is that Trump’s new national security advisor made implicit threats against a diplomat and his children. On this week’s show, Mehdi talks to José&nbsp; Bustani about that experience with Bolton 16 years ago. He also talks to State Department veteran Thomas Countryman, who served with Bolton and worries that we’re now a step closer to war with both North Korea and Iran.